Post news, pictures and information about the upcoming 8th Birthday of Juan Valentin Urdangarin in this thread. Birthday wishes should be made in Birthday and Anniversary wishes thread. If they are posted here, they will be either deleted or moved to the appropirate thread. Are they doing anything for the birthday, or is it going to be private? No pictures yet? I really hope we will get to see them again. They're such a precious family. Does anyone know at what time the family usually comes out and poses for the press? Where can we find pictures of the event, and what time is it supposed to take place? Or is there even going to be an event? Happy Birthday Juanito. Wow I cannot believe how fast you grew!!! Alright people, we finally got something. Here's an article with pics from Hola: JUAN URDANGARÍN CELEBRA EN FAMILIA SU 8º CUMPLEAÑOS. 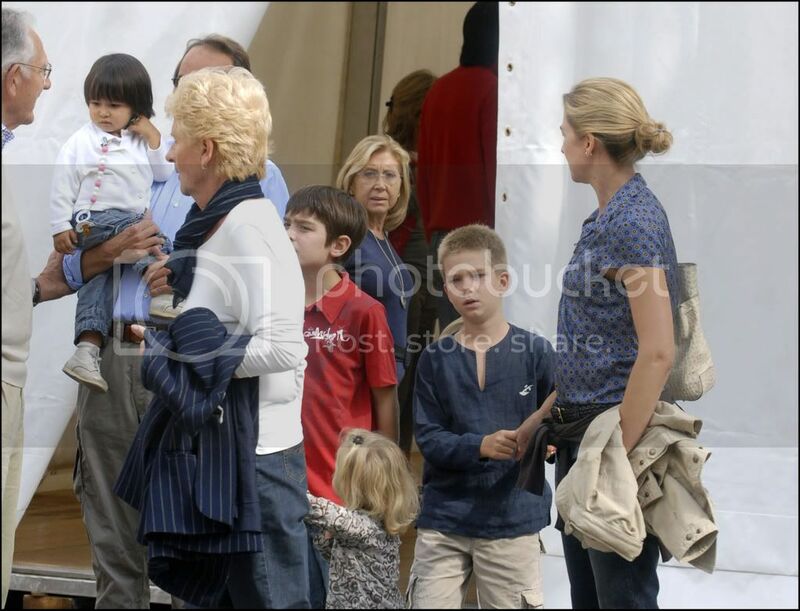 Only Iñaki's side of the family was there and Iñaki himself was out of town. you beated me to it ladejesus! I enjoyed seeing all of the pictures. Everyone looked great, Pablo and Miguel were dressed alike, Juan was similar but different, and Irene was cute as always. Is it just me, or has her and Miguel's hair gotten even more blonde? I was a little disappointed to see Irene still had her pacifier, though. Juan is so tall! I was a little sorry that Iñaki wasn't there, was he out of town? 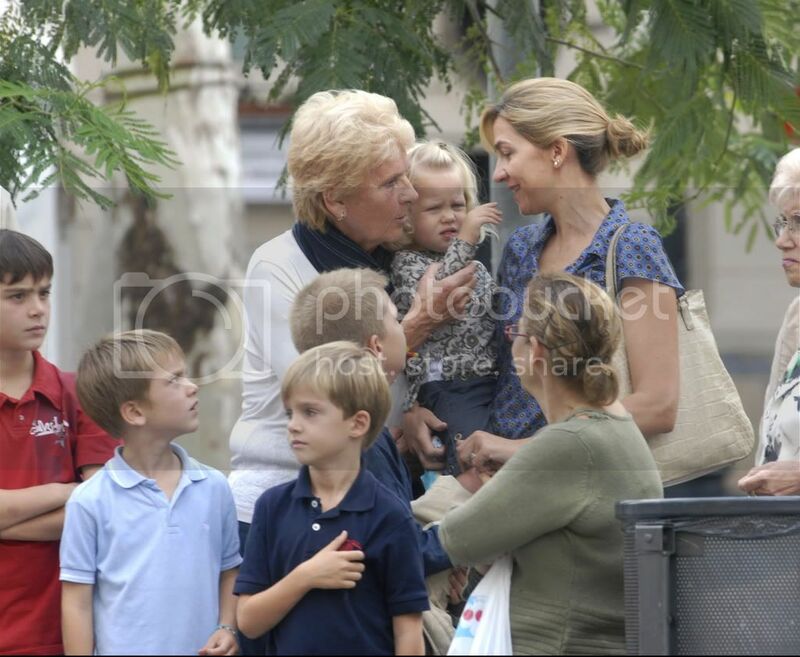 I recognised his mother, and I'm guessing that the other children are Urdangarin cousins, or friends? Cristina and the kids look great. I was really hoping to see the Marichalar kids there. Juan and Froilan are always an awesome duo. What do you mean by seminary course? Where I come from a seminary is where you go to become a priest. Oh! I think that's seminar in English. So when are you going to perform your magic and get us some big pics? Has anyone seen a video of the outing?